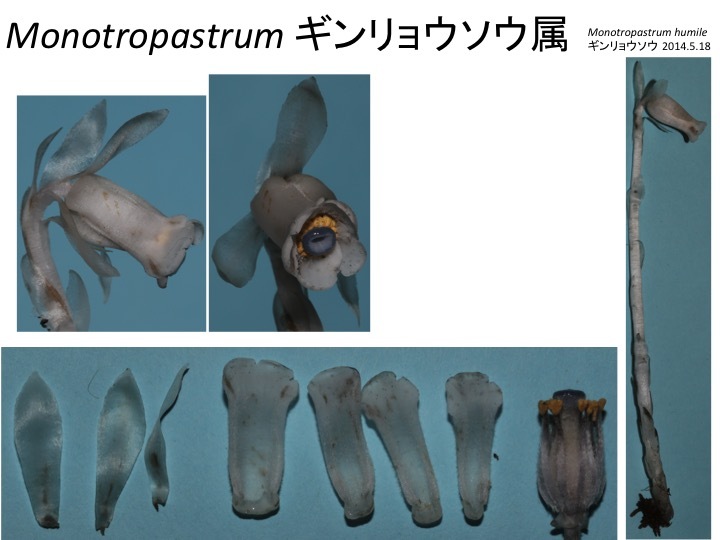 Kron, K. A. et al. 2002. 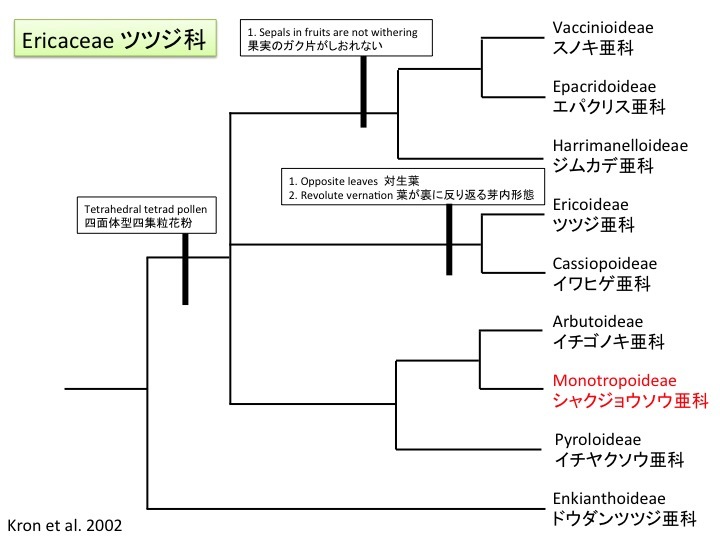 Phylogenetic classification of Ericaceae: Molecular and morphological evidence. Bot. Rev. 68: 335-423. 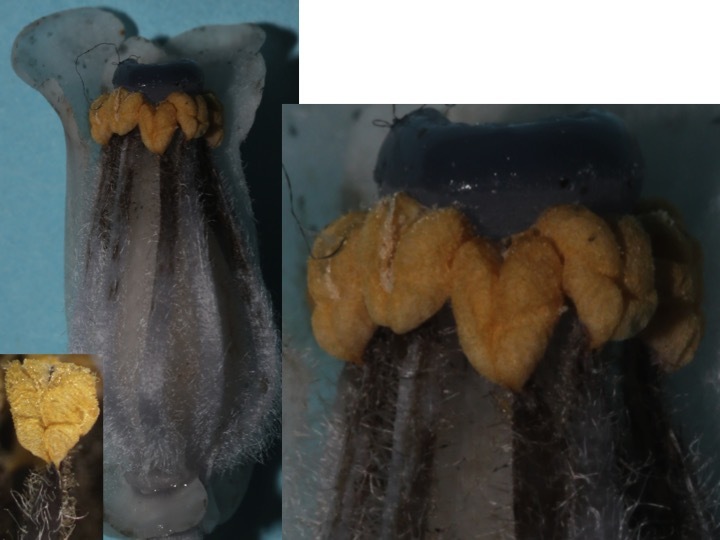 Most land plants are associated with fungi but mycoheterotrophic plants are not popular. 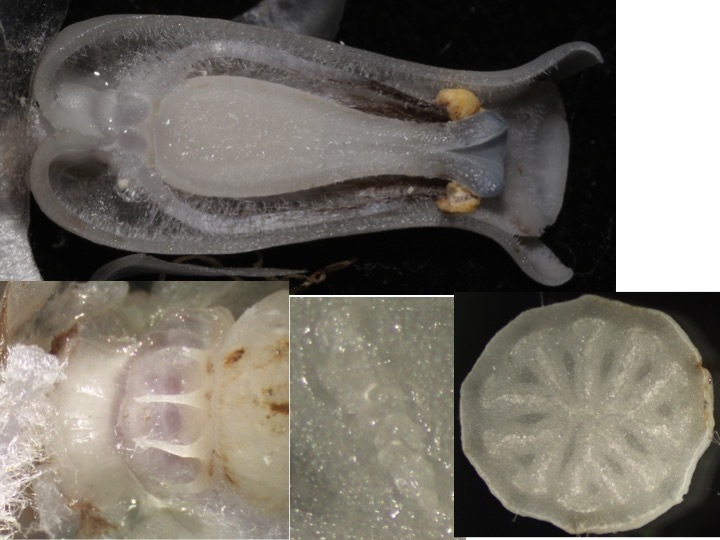 Genome comparisons to their sister autotrophic plants may give insight on the evolution. Why are leaves formed without the function of photosynthesis? What is their function? 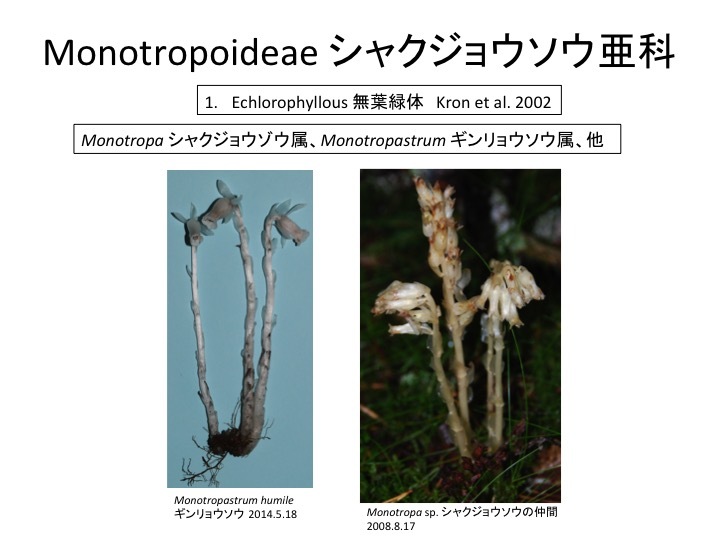 Species in the Monotropoideae are mycoheterotrophic plants and are parasitic to ectotrophic fungi symbiotic to other plants. 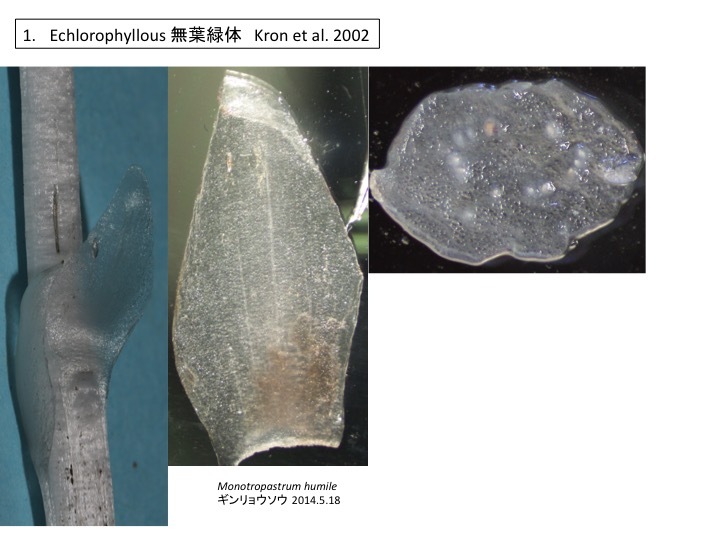 They form monotropoid, mycorrhiza. 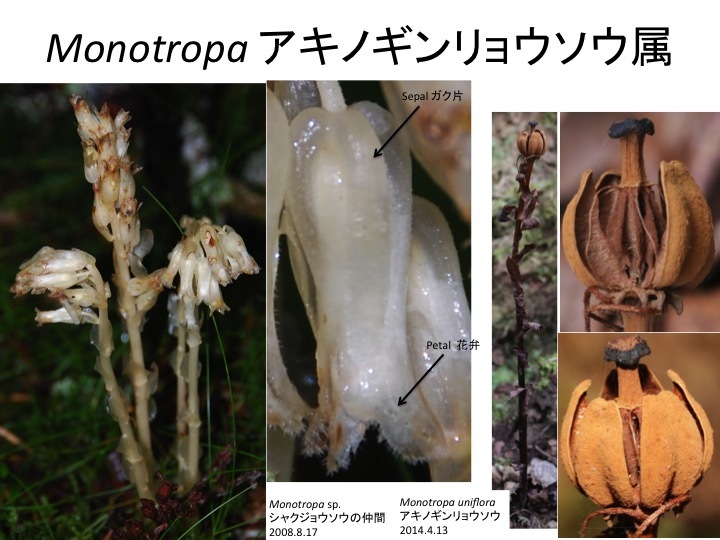 Monotropa is different from Monotropastrum in (1) hairy petals, (2) fruits without petals and sepals, and (3) fruits upright. Plants and fungi symbiotically associate and form symbiotic tissue called mycorrhiza. 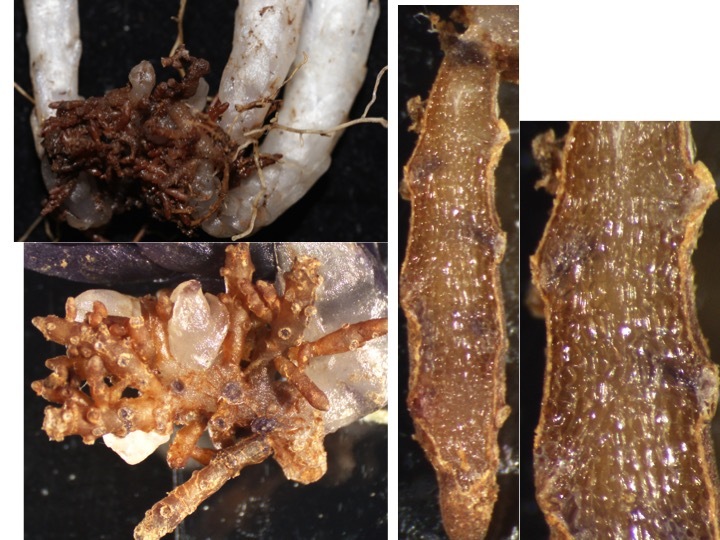 Depending on the combination between plants and fungi, different types of micorrhiza with different morphology and cellular association are formed. 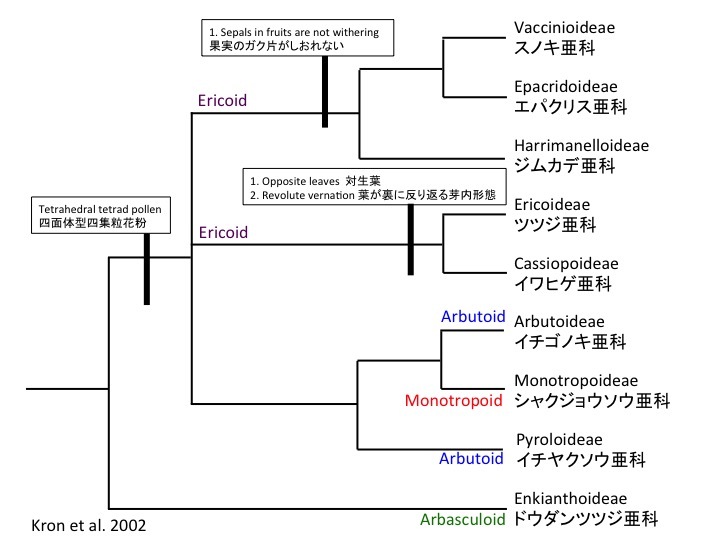 Such difference is conspicuous in the Ericaceae, in which arbasculoid, arbutoid, monotropoid, and ericoid micorrhiza are formed in different subfamilies.